Four scholarship winners offer invaluable tips and insights on how to ace the gruelling application rounds and interviews. The Aditya Birla Group launched their scholarship arm in1999 with an aim to support outstanding students who brought passion, leadership and foresight to the table. In order to apply candidates must have gained admission to either an IIM(Ahmedabad, Bangalore, Kolkata, Shillong and Lucknow), IIT (Chennai, Delhi, Kanpur, Kharagpur and Mumbai) or BITS (Pilani). For students wishing to study at IIMs, Rs 1,75,000 p.a is provided. Rs 65,000 p.a. is the amount allocated to students at IITs/BITS (Pilani). Application know-how: Entrance examinations are held every year and only those students who feature among the top 20 for every institution are eligible to apply for the second round of the scholarship. The 80 students from the IIMs and 120 students from the IITs and BITS (Pilani) are evaluated on the basis of their academic growth, extra curricular achievements and application essays. Candidates are then shortlisted for a final interview. Ten engineering students and ten management students go on to become Aditya Birla Scholars. -Nilkesh was awarded a 2-year scholarship to pursue his B.Tech at IIM-Shillong, India. The Fulbright scholarship was founded by United States Senator J. William Fulbright in 1946. The programme presently operates in over 155 countries and provides 8,000 grants annually for education in the US. Funds cover tuition and living costs for a variety of academic disciplines. Application know-how: Candidates looking to apply should have completed their bachelor’s degree or an equivalent before the starting date of the grant. Fluency in English is a must. Only candidates between the ages of 21 and 29 at the time of application will be considered for the scholarship. A stringent interview procedure awaits those who pass the first round. The scholarship is awarded to meritious candidates based on their overall academic, personal and professional conduct. For Indian applicants, a separate Fulbright Commission overseas the overall selection process. 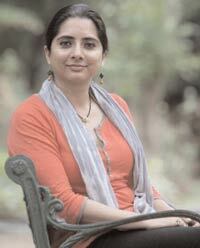 -Raksha was awarded the Fulbright Scholarship in 2009 for a M.S. Broadcast Journalism degree at Columbia University, New York. Having made his fortune operating the diamond firm De Beers in South Africa, Sir Cecil John Rhodes left his millions to the Rhodes Trust. Instituted in 1902, the trust funds 83 Indians annually through their postgraduate studies and research at Oxford University. Application know-how: Rhodes scholars are chosen on the basis of various parametres laid down by Cecil Rhodes in his will. Rhodes was insistent that only those with moral integrity, academic passion, courage and devotion should be awarded grants. Candidates must be aged between 19 to 25. Rhodes is open for all disciplines of further studies. Written applications are shortlisted and then further scrutinised by an interview panel of esteemed academicians and professionals. 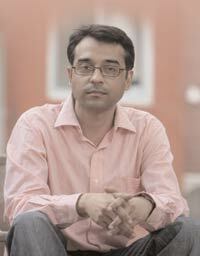 -Somak was awarded the scholarship in 2004 for BA English at University College, Oxford. Constituted to fund postgraduate studies at universities across the UK, the first Chevening Scholarship was awarded in 1984. Chevening grants cover tuition fees, maintenence allowance at set rates, return economy airfare and additional funds to cover essential living expenditure. Application know-how: Candidates looking to apply for the scholarship must meet the academic requirements for their chosen course of study. Professionals with two-three years of work experience and a proven record of academic excellence stand the best chance of success. Only those aged between 21-35 years at the time of application will be considered for the interview rounds. A strict judging process determines the verdict at the final interview round. The panel often looks for students who are motivated to pursue positions of leadership in their own country within 10 years of being awarded the scholarship. -Manu won the Chevening Scholarship in 2004 to study BA Journalism at Cardiff University, Wales. Previous PostAssam violence: Is there a solution? © 2019 PERSPECTIVE. Raksha Kumar. All Rights Reserved.